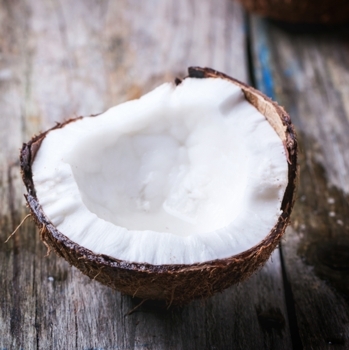 This natural coconut hair conditioner was designed to hydrate dry, damaged or dull tresses. The conditioning hair formula has an organic coconut oil base and is amped up with 20 drops of essential oils most compatible for medium to thick hair which is naturally coarse and/or textured. The natural coconut hair conditioner might be too hydrating for fine or thin strands which are naturally straight and/or soft. If you;d like to try the conditioner, but have concerns about it being too moisturizing for your hair type, texture or length, cut the recipe by half or even more and apply just a small amount to just the ends of your hair as a trial basis. Warning: If you have a known allergy to nuts or coconut, always confer with your primary health practitioner before applying the treatment to your scalp and hair. Melt the coconut oil by placing the glass jar in a pot of hot water. As the oil melts, add the essential oils and stir before it melts. Note: You may substitute palmarosa for sandalwood. Both are designed to treat dry to very dry strands. 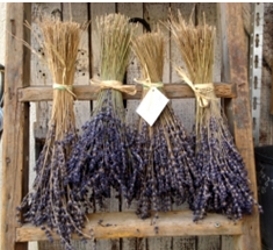 If you wish, you can also substitute comfrey or olibanum for lavender to treat damaged strands. Or you can include all of the oils, just making sure only to add 20. 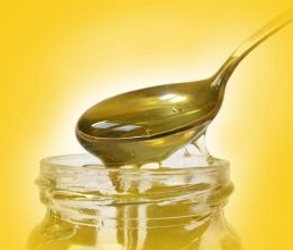 None of the oils should ever be applied “neat” to the scalp, skin or hair. 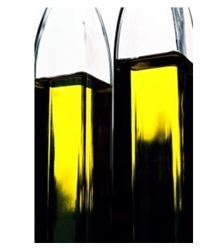 After the oil cools, scoop out a small amount and slowly warm in the palms of your hands. Use the pads of the finger making sure not to use the fingernails onto the scalp. Rake the mixture through the strands of either dry or wet hair making sure to focus on areas of the hair which are most dry and damaged. After you’ve applied all the desired oil to the hair, wrap in a plastic shower cap or use plastic wrap to cover the hair. 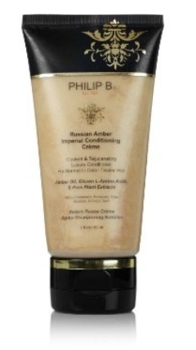 Allow the conditioner to remain on hair for at least two hours. 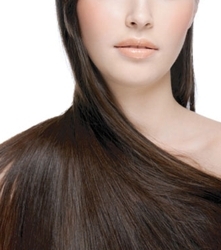 Apply a tiny bit of shampoo directly to the hair before applying water to help cut the oil. Add lukewarm water and create a suds. Allow the foam to gently flow down the wet strands. Pat, do not rub, the shampoo mixture into the hair. When all of the coconut oil has been washed out, apply a light rinse-out conditioner if desired. Finger rake hair to detangle or use a wide tooth comb. Continue to use lukewarm water to rinse out all of the rinse-out conditioner. Finish with a cool or cold water rinse to close the cuticle. Coconut oil offers amazing hydrating benefits for hair which is chemically damaged, dry, coarse or naturally textured. 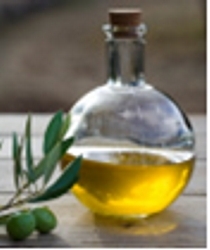 Not all hair types and textures will benefit from the moisturizing properties of the oil. If you’ve never used coconut oil on your hair before, it’s best to start small and apply it in limited quantities to the ends of your hair or just target areas. If your hair responds well to the coconut hair conditioner, you can increase how much you use in the future. Feel free to experiment with different oils which are lighter such as sweet almond and play with a variety of essential oils designed for your hair color, type, texture and needs. This entry was posted on Monday, December 7th, 2015 at 9:37 pm	and is filed under Hair. You can follow any responses to this entry through the RSS 2.0 feed. Both comments and pings are currently closed.